Home » Articles » Are you ready for IFRS 9 impact on Credit Risk? Are you ready for IFRS 9 impact on Credit Risk? 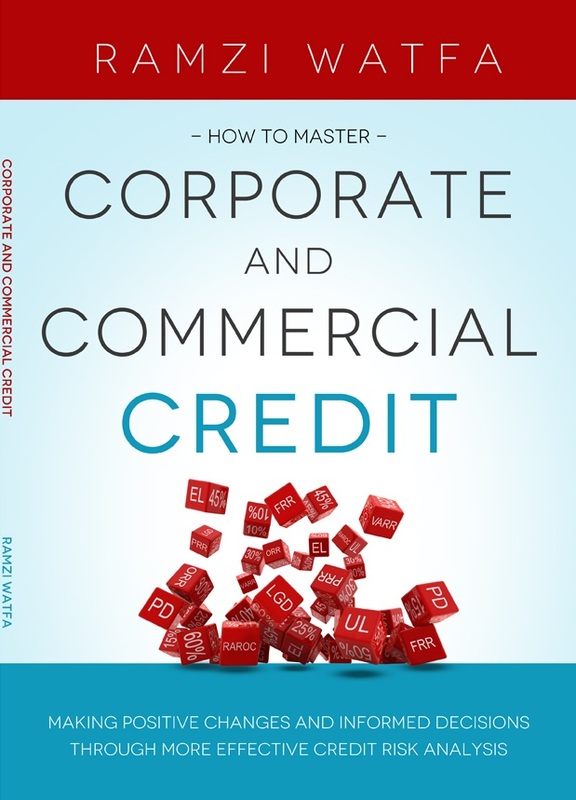 This is now the hottest topic amongst credit risk officers: how to comply with the new rules. We already reported on the tsunami of the Basel Accords back in 2004. Now it seems the full effect is being felt. If what is being addressed today is anything to go by, credit risk analysis will not be the same going forward. The shift from an incurred loss model (IAS 39) to an expected loss model essentially means good bye Standardized Approach, good riddance on measuring 90 days defaults and sole reliance on collateral security, and welcome the world of IRB and risk measurement. To top it all up, these same sellers continue to sell you various “models” on the premise that different methodologies should be used to tackle perceived different risk classes (Corporate versus SMEs). So if you were a banker using such systems, then you will have great difficulty implementing IFRS 9 despite what these sellers tell you. then not only do you need to take the first period default rates, but also to the full life of the loan (in the case of term lending). That’s Stage 2. Beyond 60 days then the loss norms increase tremendously. Welcome to Stage 3. If you were an IRB compliant bank and adopted the Basel Guidelines for Managing Credit Risk, then this is not new. The processes and procedures that handle measurement and remedial management are set in place to help you along the way. For those many other banks that are still in the Standardized mode of operation or have not adopted the guidelines, then the change is indeed a tsunami. In short judgement day is nay. Significant risk measurement beyond 30 days default. Obligor ratings that fall within 1- 6 are deemed OK Stage 1. Those 8 and above are essentially Stage 3. ORR of 8 is Substandard, the old 90 days rule. Even those rated 1-6 are expected to default, but for a very short period of time to cover administrative hiccups. For example, those that are rated 6 default on average 6% of their transactions over a year. However if the obligor were to remain in default after the administrative 15 days period it should be reported as watch-listed, and the Early Problem Recognition and Remedial (EPRR) methodology should kick in. The risk rating should then be overridden to ORR 7. If the account were to be settled within the 30 days period, then the old rating is restored. Expectations are that rated 6 clients will experience this ebb and flow over time. However for those rated lower than 6, such incidents for such long periods should raise questions as to the quality of the rating methodology and system used. If the account were to persist beyond 30 days, then it should be reported as 7.5 and another set of actions under the EPRR kicks in. The risk rating should also be overridden to a 7.5 to reflect the reality. If the account were to be settled within the 60 days period, then the rating is restored to a 7 under an EPRR monitoring mechanism for at least 6 months. Meanwhile investigation as to the causes of the default should take place and the risk rating system adjusted accordingly. At this point interim financials are requested, and close Q&A on management is done (where the assumptions on granting credits are then re-assessed). The account is then re-rated in the normal course of action. Post 30 days, or a sustained risk rating override of 7.5 is Stage 2. Not only do harsher EPRR procedures are imposed, IFRS 9 Stage 2 rules kick in. These include taking the full life potential loss. The bank still accounts for interest normally, but the provisioning is now much higher. Post 90 days risk rating of 8, ie Stage 3. At this point the Expected Losses are very high (PDs of 100% and LGDs of 45%) which result in significant loss calculations over the life of the loan. So How to Measure EL under Stages 2 and 3? Expected Loss is calculated as Exposure at Risk x Probability of Default x Loss Given Default (EARxPDxLGD). For all risk ratings, the LGD portion is tenor sensitive (under Basel an average 2.5 years) whilst the PDs remain those of one year. See our earlier articles on being proactive and the definition of PDs for more clarity. I always wondered about the one year PDs in the case of term loans, but the argument went that since you were reviewing the account on a yearly basis, and you have covenants in place to “exit” the relationship in case of negative trends, then using the one year PDs was acceptable. This would be true if the risk rating system was forward looking, the facility structuring appropriate, and the covenants are the correct ones. As the majority of banks still lack this discipline, then it seems under the IFRS 9 the PDs for the remaining long term portions of the exposure need to be assessed using suitable time-linked PDs (word is still out on this). The latter are calculated using Transition Matrices. As an example, a risk rated 6 obligor has a PD of 6% over one year, and a 32% over 5 years. If this is indeed the case, you can now see how harsh the treatment of the remaining exposure will be post 30 days. What is certain though: it is about the Cash Flows! As per the IFRS rules, the “Characteristics of low credit risk financial instruments include: Strong capacity to meet its contractual cash flow obligations in the near term”. Hallelujah …. At last, and I don’t think it means EBITDA as this is NOT cash. Ask yourself this: Does your risk rating system place overly importance on EBITDA? If so then it is not cash flow centric and it will not be able to meet the IFRS criteria. 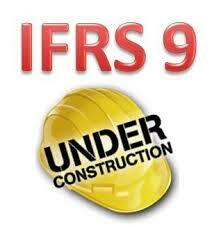 IFRS 9 also means Stress Testing! Even without incurring any changes to the portfolio, the fact that IFRS 9 demands forward looking assessments of credit risk means Stress Testing. For example in the world of mortgages, even if the obligor were settling his or her dues on time, the fact that there are problems with his or her employer should start raising ratings. In the world of companies, there are 177 factors that may trigger this. Let us apply IFRS 9 on a simple example. A bank provides a 5 year loan of USD 1million to Company A in 2018, and has rated the company ORR 5. Under IFRS 9 the 12 months EL for that loan is 1.5%; that’s USD 15,000. A year later, the bank re-assesses the credit risk based on then circumstances, and re-rates the obligor. While the loan is currently performing, the risk rating increases to a 7 due to deterioration in the obligor’s ability to generate cash flow and some management changes. Stage 2 and now IFRS 9 requires lifetime expected credit losses to be recognized. The bank estimates that the lifetime expected credit losses for the loan are USD 120,000. Impairment of financial assets is recognized on an incurred loss basis, which requires evidence of impairment before a provision can be made. During the two consecutive years, there was no evidence of impairment, hence no provisions are made. Even if the rating increased, as there were no defaults, no provisions were made using Standardized methodology. Impairment of financial assets is recognized on an expected credit loss basis, which requires historic, current and forecast information to be considered in determining the loss allowance. During the first year this amounted to a loss allowance at an amount equal to 12-month expected credit losses of 1.5%, and the bank reported an impairment loss of USD 15,000 in its income statement. In the following year, the bank has assessed that the credit risk of the loan has increased significantly since initial recognition and therefore recognizes a loss allowance of an amount equal to the lifetime expected credit losses. The bank recognizes an additional impairment loss of USD 105,000 (or USD 120,000 less USD 15,000 already accounted for in year 1) in its income statement accordingly. Unless you have already adopted our Basel compliant Processes and Procedures, and are using our Credit Risk System, then contact us for help on ramzi.watfa@6sigmagrp.com. This subject is by far not over. More will be discussed and argued over the coming months. No doubt we will publish more on it in due course. Keep an eye.